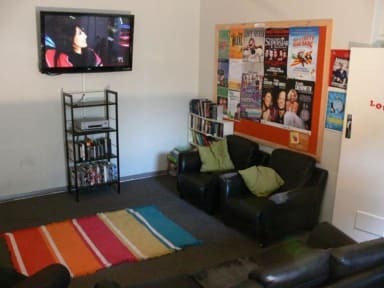 We have free laundry powder, free tea and coffee, free bike hire, 4 & 6 bed dorms only, 24 hour kitchen, and centrally located in the heart of the CBD! Free parking is available on the streets adjacent to the hostel, but we are in the middle of a thriving capital city so some restrictions can apply. There's rarely a problem, just ask us for advice. We don't have a bar, but you can meet the locals in the friendly pub 20 metres down the road which provides discounts on beer and food for our guests. You are also welcome to bring your own alcohol into the hostel.